Randy is a go-getter! That quality and his desire to be of service propelled him into the high end of real estate sales with Sotheby’s International Realty. Randy’s clients appreciate not only his service and results, but the personal attention and close relationships that are his trademark in business. 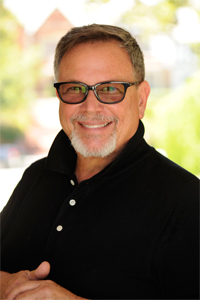 A dedicated “team player” Randy joined Sharona Alperin’ s group as an Associate bringing his skills to the Sunset office and to Sharona’ s Top Producing Team. In this capacity he uses his negotiating acumen, versatility and dedication collectively making him an invaluable team player. Living and working in Los Angeles, a vibrant, fast-paced and multicultural city Randy is bilingual and speaks fluent Spanish. As part of his civic commitment he volunteers at the USC-Norris Cancer Center. Keeping up with the pace of the real estate market, he regularly attends professional development seminars, employs “state of the art” online transactions a necessity when working with international as well as domestic clients. Above all, it is Randy’s devotion to service and personal touch that generate so much appreciation from his clients and has them routinely recommending him to other family members and friends, whether they’re in the market for single-family homes, condominiums, historical or architecturally important properties. It is Randy’s persistence and passion for quality, in addition to his tenacity and professional integrity, that are among the hallmarks of his tenure at Sotheby’s International Realty.